As scheduling has become more sophisticated, maintenance processes have evolved and improved. However, as Michael Saucier, Product Manager at AspenTech discusses, recent studies indicate that most equipment fails on a ‘random’ basis no matter how many assets are inspected. In other words, failures cannot necessarily be correlated to how maintenance was performed. Today, across a raft of industry sectors, it is surely time to abandon the calendar as the driving force behind maintenance schedules and replace it with predictive or prescriptive analytics. Yet, the benefits that prescriptive analytics can deliver extend well beyond the traditional process industries. One area where we are seeing the data-driven insight achieve real traction is rail transportation. The industry continues to relish the value of rail transportation. 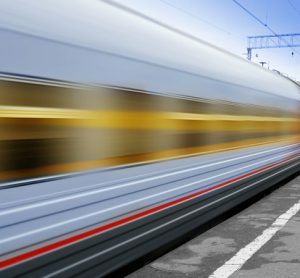 Recent research by strategic consultancy, SCI Verkehr, revealed that the global rail market has grown from €169 billion in 2016 to €183 billion, and the rate of growth has picked up from a forecast of 2.3 per cent two years ago to 2.8 per cent. Rail freight is a major part of the overall sector, of course. In its recently produced multi-client study, ‘Rail Transport Markets – Global Market Trends 2016–2025’, SCI Verkehr projected that rail freight would grow from 10,380 billion tonne-kilometre (tkm) in 2015 to 11,912 billion tonne-kilometre (tkm) in 2025. With this growth, how do we ensure safe, reliable services and continued operating ratio improvements? Focusing on service and productivity improvements can help to lower the operating ratio, increase levels of safety and guarantee on-time performance. Revenue can be positively impacted through service efforts tied to quicker turnaround, better reliability, faster transit and improved frequency. In addition, lower operating expenses can result from productivity efforts tied to train density, fuel optimisation, people efficiency and rolling stock utilisation. These are high-level performance metrics. The most direct benefit of applying the latest prescriptive analytics technology however, is often simply in preventing breakdowns of train locomotives. 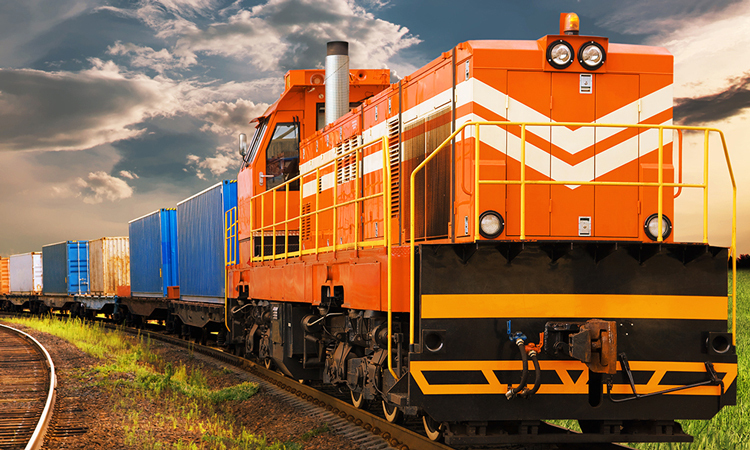 Diesel engines and locomotives endure high-stress conditions that can lead to failure. 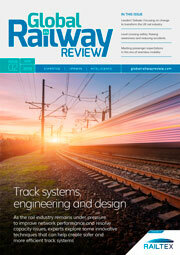 Yet too many rail transportation providers are still essentially dependent on traditional run to failure operations models, which in turn means they can even be plagued by serious and potentially catastrophic ‘line-of-road’ locomotive failures which had gone completely undetected by existing techniques. The latest prescriptive maintenance approaches can guard against this through a combination of IoT-based, big data and machine learning technology. In line with this, it is possible to effectively deploy autonomous agents that use sensor-based technology to recognise changes in equipment conditions. In a typical scenario, anomaly and failure agents can be deployed to learn precise patterns of normal operating behaviour, excursion from normal conditions and minuscule pattern changes that lead to known failures. To further extend our scenario example, if a known failure is detected, the failure agent can determine when that failure will occur if the condition is not corrected and then immediately alert maintenance. As a result, a reliability engineer will receive the failure signature alert, assess the severity of the issue and send a recommendation to the maintenance department. Thereafter, a maintenance planner confirms the diagnosis and schedules necessary corrective action. If there is sufficient lead time before more damage occurs, the locomotive can be scheduled for service and repair at a convenient time. However, this kind of combination of machine learning and IoT can do much more than solve the immediate problem. In this scenario, in addition to the corrective maintenance performed on the engine, the root cause of the problem will be documented, adding to the operational team’s overall knowledge of the issue. 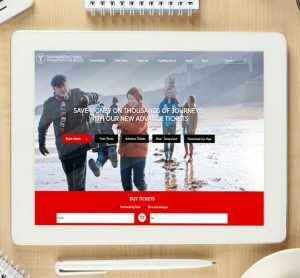 If the failure signature has detected the failure pattern plus any new pattern data, the agent will be updated to reflect this new information – and will become more intelligent as a direct result. At a higher level, of course, the benefits of this kind of approach can extend far beyond the immediate issue of preventing the breakdown of a specific engine. 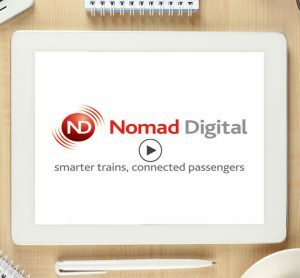 Using prescriptive analytics, even a specific ‘granular’ action like analysing oil samples across a whole fleet of locomotives can bring insight that helps increase locomotive reliability and improve asset utilisation across the entire estate. Instead of just relying on traditional threshold analysis which might potentially leave underlying issues hidden, a more in-depth prescriptive analytics approach has the potential to drill down into very specific issues around iron and viscosity soot levels, and low water pressure, for example – all of which could be harbingers of imminent problems that need to be urgently addressed. That could in turn lead to improved maintenance planning and a more proactive preventive maintenance operating mode across the organisation, and, critically too, significant cost savings. By extending out insights gained from analysis of individual or small groups of locomotives to entire fleets, there are a raft of additional benefits to be accomplished. By adopting a prescriptive analytics approach, safety levels could be increased, considerable additional savings could be achieved, operating ratio could be boosted while fuel consumption could potentially be decreased, and train velocity increased at the same time. All of these are key goals for any rail transportation provider, of course. That’s why in a challenging and competitive sector like rail, prescriptive analytics is key and has to represent the way forward.